"Helping out each other" a new painting! "Helping each other" is a painting about the Dapper Elephant helping out a senior citizen get up from the bus bench. The other animals didn't realize the senior citizen needed help because they were looking in their iPhones. I painted this as a goal for myself in 2017: Look down less in my IPhone and see more of the world around me. 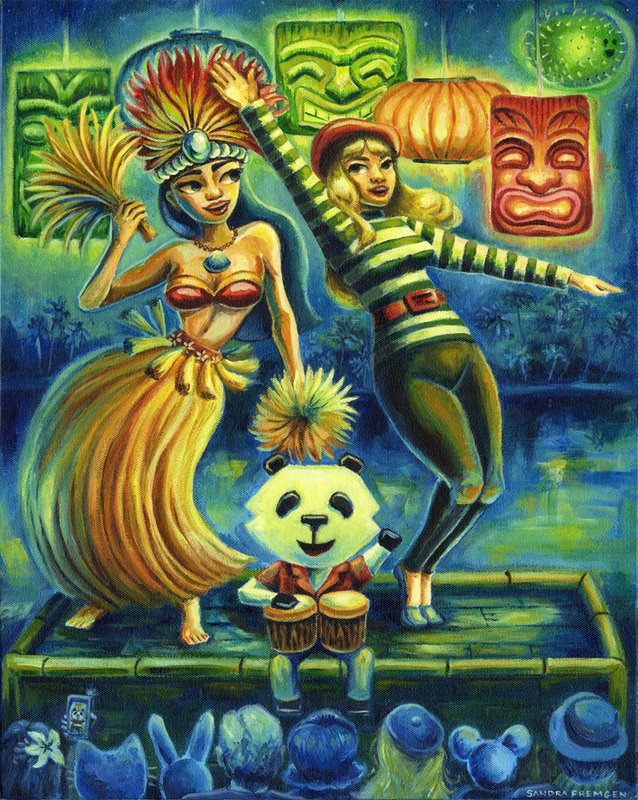 Another reason for this painting is because I'm in love from the Dapper Elephant! After painting him eating a slice of cake inside the Chinese bakery, I was curious to what he would do next! 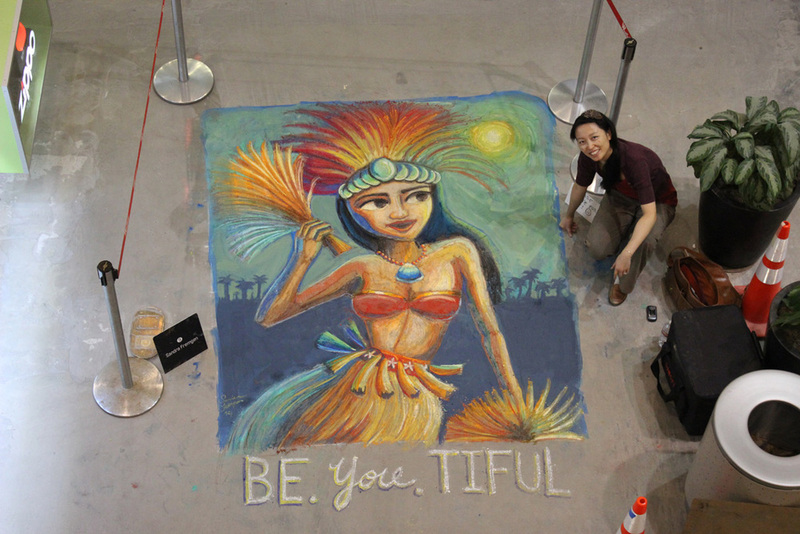 Here is an intense one day chalk painting event at the Westfield Santa Anita mall. I learned that i should prime the surface before I start chalk painting. The surface was so smooth and waxy that it didn't take my chalk at all in some areas.